Candidates for the Mexican presidency have over the last four months attacked one another relentlessly over financial and other related scandals while delivering a message of hope: pledging to end corruption, stand up to U.S. President Donald Trump, and above all find peace after years of exceptional violence. Each of the four men running is promising that his presidency will be the one to bring about a real transformation for Mexico. The campaign, unusual in many ways, ended on Wednesday and on Sunday voters are expected to approve a radical change for the much-wounded country. 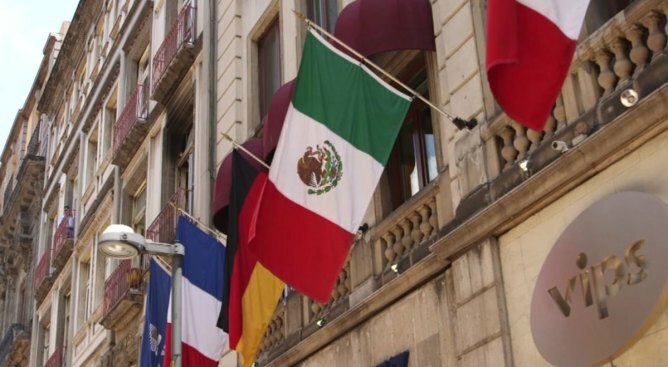 The term of outgoing President Enrique Peña Nieto has been highlighted by violence and scandals, including the disappearance of 43 students after they were taken into custody by police in Iguala, Guerrero, in 2016. Over 104,000 homicides have occurred since he took office in 2012, making his tenure the bloodiest presidency since the Mexican revolution. Among other scandals are the first lady’s White House, a $7 million mansion built by a federal government contractor for the presidential family, and “The Master Fraud”, the diversion of $192 million in government funds through shell companies by 11 federal agencies. Peña Nieto’s party, the PRI (Institutional Revolutionary Party), has governed Mexico for over 70 years with the exception of a 12-year period when the PAN (National Action Party) took over. In 2000, Vicente Fox broke the PRI rule after a campaign promising change. Felipe Calderón, a fellow party-member, followed his tenure but just barely, almost tying with current leftist-candidate, Andrés Manuel López Obrador. Fox and Calderón were notable for starting the Mexican war on drugs. In 2012, Peña Nieto won the election, bringing the return of the PRI. On Sunday that long hold on power could be in jeopardy when close to 89 million voters are expected to participate in the biggest election in Mexican history. Over 3,400 posts will be contested including the mayor of Mexico City, many governors, senators and deputies. Not only is Peña Nieto’s term ending, but all of the congress is up for grabs. Ahead of the election, here are the four candidates vying for the presidency. If polls are reliable, it is likely that the leftist front-runner and former mayor of Mexico City, Andrés Manuel López Obrador, best known as AMLO, will win big. It is the first time a leftist candidate appears to have such a dramatic advantage over opponents, who are competing for a very far off second place. 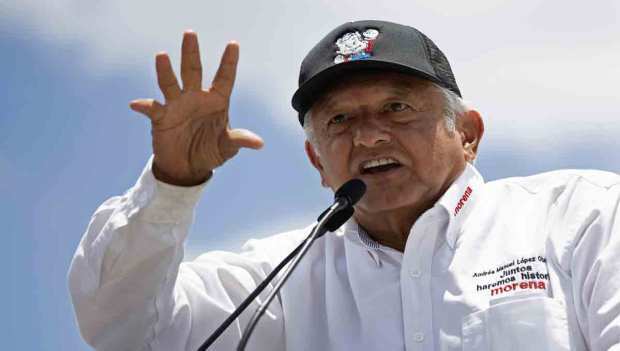 López Obrador, 61, is often perceived as a populist and has been running for the presidency for over 12 years. In the 2006 and 2012 elections he lost to Felipe Calderón and Peña Nieto by a tiny margin each time, outraging his supporters who disputed the results. After his defeat in 2006, he claimed the election had been fraudulent and proclaimed himself as Mexico’s legitimate president before backing down months later. After his loss to Peña Nieto, Lopez Obrado, a two-time candidate for the center-left party PRD (Party of the Democratic Revolution), founded MORENA (National Regeneration Movement). For this election, MORENA joined with the Worker's Party and an evangelical right-wing Christian party, an alliance that has been criticized among leftists. Last year, he published ¡Oye, Trump! (Listen, Trump), a best-selling book in which he calls for a new start for Mexico, ridding the country of the influence of the United States, especially under Trump's presidency. He has said he would rather end NAFTA than operate under a bad agreement. On Wednesday, López Obrador closed his campaign in Mexico City with over 100,000 people at the Estadio Azteca, the largest stadium in Mexico City. Many supporters were unable to get in and stood outside. This is Anaya's first run for public office. His candidacy has been ruthless and ambitious, with commentators mentioning his ability to join the left and the right as an asset as a candidate. He beat former first lady, Margarita Zavala, who was a favorite among the party. Anaya has been tainted by corruption allegations of money laundering involving an industrial park in his home town, Querétaro, between 2014 and 2016. Anaya denied the allegations, saying they were a result of his opposition to Peña Nieto, whom he has promised to investigate if he becomes president. Anaya has criticized Donald Trump's policies, including Trump’s demand for a wall on the U.S.-Mexico border and his attempt to end DACA or the Deferred Action for Childhood Arrivals. In May, he released a video in which he asks Donald Trump to protect DREAMERS. At 49, Jose Antonio Meade is the definition of a technocrat, having led four public agencies in two presidential terms. During Calderón’s term he was secretary of finance and public credit and secretary of energy. When Peña Nieto took over, he served as secretary of foreign affairs, secretary of social development and again as secretary of finance. Although Meade is the candidate for the PRI it was not until November of last year that he became a member of the party. He was endorsed by Peña Nieto to run for the presidency. Political analysts have mentioned that this is because he had the cleanest reputation in the party and had a reputation for decency. However, in The Master Fraud the secretary of social development is accused of diverting federal funds through shell companies while Meade and his successor, Rosario Robles, were in charge. Meade had maintained a constant third place polling around 20.3 percent of votes until recently when he seems to be tied with Anaya. But he has practically no possibility of winning. For this first time in Mexican politics, there is an independent candidate running for presidency. Jaime Rodríguez, 60, also known as “El Bronco” is the former governor of Nuevo León. He was the first independent to win the governorship. “El Bronco” has 3.4 percent in the polling and is certain to remain in fourth place. His proposals include cutting off the hands of robbers as a way to combat corruption.